I am helpless to perceive and respond to Your Word in this way unless You enlighten my understanding and affections. It is not enough for me to recognize the truth, inspiration, and authority of Your Word, or even its perfection. I want and need to love it, to delight in it, to desire it, to know how beautiful it is. Transform my spiritual taste buds, Lord, that I may relish the sweetness of Your Word. 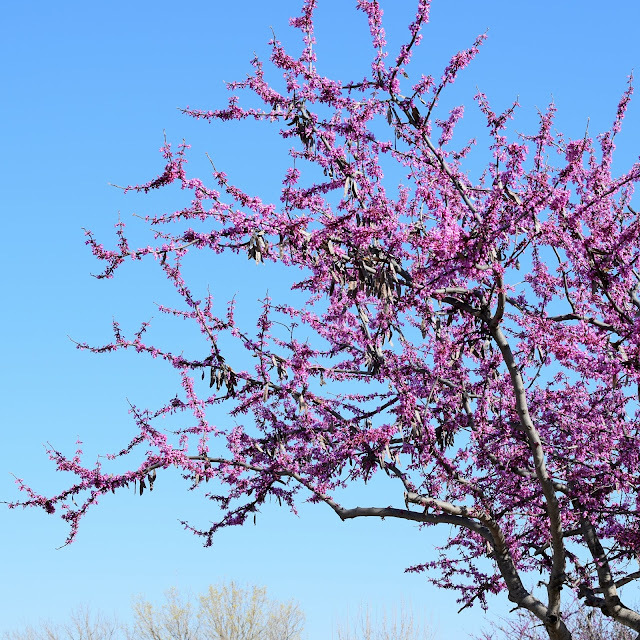 Open my eyes to perceive the radiant rightness of Your precepts, that they might gladden my heart and brighten my eyes like the sight of a dearly loved friend. O Lord, let me taste and see Your goodness in Your Word. Illuminate it unto me until it makes my heart glad and my eyes light up, as it rightfully deserves to do. In the name of the living Word, Jesus, I ask these things. Amen. N.B. This blogger received a complimentary PDF of this book from Crossway in exchange for an honest review. Except where noted, all references are page numbers from that edition of the book. Charles Haddon Spurgeon (1834-1892) was an English Baptist pastor in the Reformed theological camp. Both his Baptist and Reformed convictions grew out of his study of the Scriptures and not allegiance to a human teacher or theological system. Although some reading this may not recognize his name, his renown and the reach of his writings were arguably as broad in his time as the late Billy Graham’s in mine. Unlike Graham, Spurgeon served as a pastor throughout his ministry. He never ceased to proclaim the gospel of Jesus Christ, but he did so in the context of his pastorate. By today’s standards, we would say he pastored a megachurch, typically preaching to more than ten thousand souls on a Sunday and also marrying, burying, and providing other pastoral care during the week. 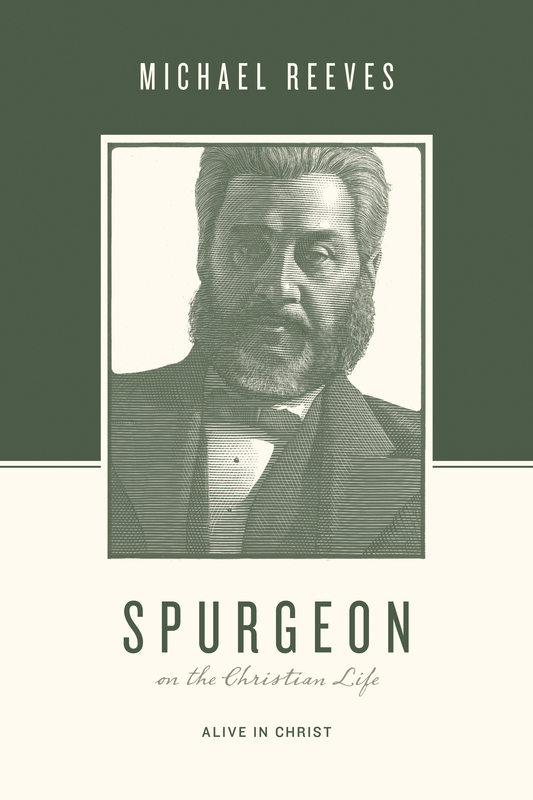 Spurgeon was likely the most prolific writer of theological and devotional material in Christian history. His sermons alone comprise as many words as the 27 volumes of the ninth edition of the Encyclopedia Brittanica[i], and he did not write sermons only. “On just one rainy day during a holiday in France, for example, he managed to write out a month’s worth of daily meditations” (Michael Reeves, Spurgeon on the Christian Life, 160). In the book under review, Michael Reeves notes, “On top of his preaching and pastoral ministry, he established and oversaw a host of ministries, including the Pastors’ College, the Stockwell Orphanage, seventeen almshouses for poor and elderly women, the Colportage Association, and a day school for children. He was involved in the planting of 187 churches (94 in London or nearby, 43 in the southeast, 19 in the north of England)” (159). Then, from the age of thirty-three, physical pain became a large and constant feature of life for him. He suffered from a burning kidney inflammation called Bright’s Disease, as well as gout, rheumatism, and neuritis. The pain was such that it soon kept him from preaching for one third of the time (163). His beloved wife also suffered from chronic illness for much of their marriage. Is this not a man worth knowing in his words, since we cannot now in person? Yet, for all our abundance of resources, we also lack something. We tend to lack the perspectives from the past, perspectives from a different time and place than our own. To put the matter differently, we have so many riches in our current horizon that we tend not to look to the horizons of the past. That is unfortunate, especially when it comes to learning about and practicing discipleship. It’s like owning a mansion and choosing to live in only one room. This series invites you to explore the other rooms (11). This book is not biography, but you will know Spurgeon better by the last page. Nor is it critical analysis, although the author does explain his disagreement with Spurgeon on some points. Instead, it provides an overview of the major themes in Spurgeon’s writings and ministry with an emphasis on Spurgeon’s own words. As such, it makes an excellent, approachable introduction to Spurgeon, and the endnotes would be a great launch pad for further exploration. For myself, as I had already gotten to know a few of Spurgeon’s books, it broadened my exposure to his other writings and better fleshed out ideas I’d picked up from the things already read. Spurgeon’s Christ-exalting pastoral heart makes this book a blessing to read even if one chooses not to read more. Although Spurgeon did not pursue a university or divinity school degree, his private reading and study and God’s particular gifting made him a master of communication. I highlighted too many quotes to share here, but I offer a few for your consideration. The most excellent study for expanding the soul, is the science of Christ, and him crucified, and the knowledge of the Godhead in the glorious Trinity. Nothing will so enlarge the intellect, nothing so magnify the whole soul of man, as a devout, earnest, continued investigation of the great subject of the Deity. And, whilst humbling and expanding, this subject is eminently consolatary. Oh, there is, in contemplating Christ, a balm for every wound; in musing on the Father, there is a quietus for every grief; and in the influence of the Holy Ghost, there is a balsam for every sore. Would you lose your sorrows? Would you drown your cares? Then go, plunge yourself in the Godhead’s deepest sea; be lost in his immensity; and you shall come forth as from a couch of rest, refreshed and invigorated. I know nothing which can so comfort the soul; so calm the swelling billows of grief and sorrow; so speak peace to the winds of trial, as a devout musing upon the subject of the Godhead (45-46). Christ said, “Feed My sheep . . . Feed My lambs.” Some preachers, however, put the food so high that neither lambs nor sheep can reach it. They seem to have read the text, “Feed My giraffes.” (77). Aspire to be understood rather than to be admired. Seek not to produce a wondering but an instructed audience (81). Prayer with the heart is the heart of prayer: the cry of our soul is the soul of our cry (147). You know, dear brothers and sisters, how a little act of kindness will cheer us when we are very low in spirit. If we are despised and rejected of men, if we are deserted and defamed by those who ought to have dealt differently with us, even a tender look from a child will help to remove our depression. In times of loneliness, it is something even to have a dog with you, to lick your hand, and show you such kindness as is possible from him (166-167). You will find sin, self, Satan, and the world to be hard masters; but if you wear the livery of Christ, you will find him so meek and lowly of heart that you will find rest unto your souls. He is the most magnanimous of captains. There never was his like among the choicest of princes. He is always to be found in the thickest part of the battle. When the wind blows cold he always takes the bleak side of the hill. The heaviest end of the cross lies ever on his shoulders. If he bids us carry a burden, he carries it also. If there is anything that is gracious, generous, kind, and tender, yea lavish and superabundant in love, you always find it in him. These forty years and more have I served him, blessed be his name! and I have had nothing but love from him. I would be glad to continue yet another forty years in the same dear service here below if so it pleased him. His service is life, peace, joy. Oh, that you would enter on it at once! God help you to enlist under the banner of Jesus even this day! Amen (74-75, Spurgeon’s last words from his pulpit, June 7, 1891). I enjoyed reading this book and found it added much to my appreciation of Spurgeon. My 7 pages of small-print highlights will provide food for further reflection, and I do want to continue learning more of Spurgeon’s life and writings. More importantly, the time spent with Spurgeon in this book made me want to love and exalt the Jesus we share that much more. My favorite chapters were in the last section of the book, the chapters on prayer, on suffering, and on final glory. Reformed and/or Baptist readers should find much encouragement, insight, and kinship of spirit here. A representative sampling of Spurgeon’s writings could not exclude his belief in predestination, the human inability to want to choose Christ apart from grace, and penal substitutionary atonement, so all those are included here. Readers who do not hold those views may not enjoy the book as much but will come away with a better understanding of why people like Spurgeon do hold and treasure what have been called "the doctrines of grace." Contrary to the tolerant cultural trend in our day, Spurgeon was quite outspoken about false teaching and forms of Christianity which he believed to be contrary to Scripture. While this does not constitute a large portion of this book, some readers will disagree with his convictions and the zeal with which he expresses them. Then again, perhaps that is why we find it hard to read old books and why we need them and books like this one which guide us through the old writings. A minefield without a map. But none have traversed just this way. But where next to step? Even after these 31 years. Yet I am Your sheep. I am too unwise and ignorant to recognize. But for Your name’s sake. Through this dim and winding valley. Be Thou nearer, my Shepherd and my God. Yesterday before my Bible study time with Mom, my camera and I took a detour to the section of walking/biking trail where the city has planted fields of bluebonnets, the wildflowers chosen as the Texas state flower. They were past their peak but still beautiful. Enjoy! And why are you anxious about clothing? A - Admit your weakness and helplessness apart from Christ, in life in general or in a specific challenge. P - Pray for God's help. T - Trust a specific promise from God's Word that applies to that circumstance or to your life as a child of God. A - Act in obedient faith, expecting God to keep His promises and answer your prayers. T - Thank Him for coming through for you. and the flame shall not consume you (Isaiah 43:2). as long as I live (Psalm 23:6, CSB). We know that all things work together for the good of those who love God, who are called according to his purpose (Romans 8:28). what can man do to me?” (Hebrews 13:5b-6). As some of you already know, context is key in the interpretation of Scripture. The context of this promise in the Bible's second letter to the church at Corinth is giving. Paul holds up the example of the beleaguered and poor Christians of Macedonia, who "gave according to their means, as I can testify, and beyond their means, of their own accord, begging us earnestly for the favor of taking part in the relief of the [Jerusalem] saints" (2 Cor. 8:3-4). He challenges the Corinthian church to follow their lead and the pattern of Christ Himself and to give cheerfully and bountifully. In case they might feel that they have no financial margin for such a gift, Paul assures them with the above promise. God supplies the gifts for the good works He appoints. The most obvious application of this promise is likewise in our giving. When a material need in the kingdom of God presents itself—whether that be a loved one struggling to make ends meet, a missionary in need of support, disaster relief, a refugee crisis, or a ministry which feeds me day after day and needs sustenance to carry on—if I sense the Spirit calling me to give, but the numbers just don't work out, this is a perfect promise to pray and trust. "He who supplies seed to the sower and bread for food will supply and multiply your seed for sowing and increase the harvest of your righteousness" (2 Cor. 9:10). The ministries of people like George Mueller, Hudson Taylor, and Edith and Francis Schaeffer were built on God's faithfulness to this promise. If the Lord wants me to contribute to meeting this need, He will provide something to give; if not, despite my best and most prayerful efforts, I can pray that He raises up others and trust that prayer is the "good work" He intends for me right then. In addition, the evidence in the text implies that this promise exceeds mere material grace for monetary good works. Paul goes out of his way to pile up adjectives of completion: all, all, all, all, every. He adds to that words of plenty: abound, sufficiency, abound. "All grace," "all sufficiency," "all things," "all times, "every good work"—if Paul takes such pains to emphasize the breadth of God's generous enabling, why would we limit the application to financial giving? Be encouraged, dear Crumbles. If you, like me, wake up most mornings with no need of anyone to convince you to admit your helplessness and pray for God's help, here is a promise to trust. Whether you are overwhelmed with your own financial need, the pressures of shepherding a struggling child, seemingly intractable health problems, caregiving demands, temptation that seems impossible to resist for one more day, conflict and stresses at work, or marital difficulties, God is able. He is able to make all grace abound to you in your need. He is able to supply you with all sufficiency in all those things at all times. He is able to make you abound in every good work, and that includes the daily and mundane every bit as much as the lofty and exotic. He does not stint in His grace to us so that we might not lack in the overflow of His grace to others. He will give what we need to do what He wills as we rely on and abide in Him. As they were talking about these things, Jesus himself stood among them, and said to them, “Peace to you!” But they were startled and frightened and thought they saw a spirit. And he said to them, “Why are you troubled, and why do doubts arise in your hearts? See my hands and my feet, that it is I myself. Touch me, and see. For a spirit does not have flesh and bones as you see that I have.” And when he had said this, he showed them his hands and his feet. (Luke 24:36-40). Who shall bring any charge against God's elect? It is God who justifies. Who is to condemn? Christ Jesus is the one who died—more than that, who was raised—who is at the right hand of God, who indeed is interceding for us.Who shall separate us from the love of Christ? Shall tribulation, or distress, or persecution, or famine, or nakedness, or danger, or sword? (Romans 8:33-35). "Another reason Jesus wears his wounds [even in His resurrection body] is that when he intercedes, he may employ them as powerful advocates. When he rises up to pray for his people, he need not speak a word. He may simply lift his hands before his Father's face. He makes bare his side and points to his feet. These are the orators with which he pleads with God--these wounds."